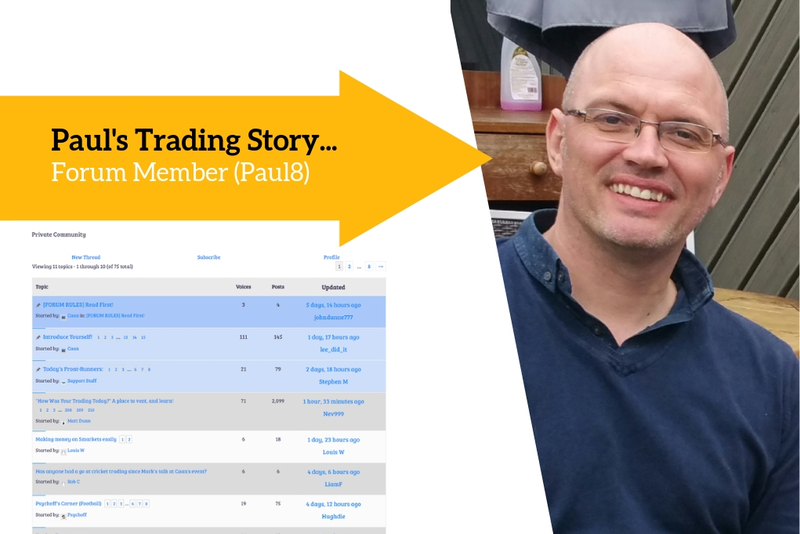 Another insight from the Betfair trading community members! 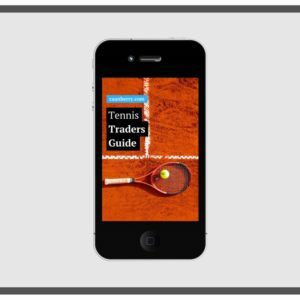 My journey into sports trading started back in 2008. I was a builder of many years, during that time one of the lads used to turn up every day with the Racing Post. He would claim to have this winning system from looking at all the statistics and form. I now know this was a complete gamble, and wasn’t going anywhere. But it’s what kick-started my Betfair quest! 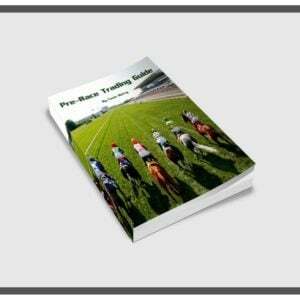 This is how I stumbled upon trading, which led me to looking for horse racing trading strategies. I could see the potential in trading straight away, it was purely the attraction to make money that got me involved. But I had no clue about horse racing whatsoever! Having a 50 pence each-way bet on the national every year was about all the experience I’d had until that point. I was keen to make it work but I put myself at a disadvantage from the start. Without having software and guidance that is available now from people like Caan, I struggled massively. I tried every different style and failed. Not only did it take its toll on my bank balance but it put pressure on the family as well. I eventually quit after 6 months. In 2015 I had my second wind when I saw some of Caan’s early YouTube videos on how to set up Geeks Toy. From there I just kept watching, learning and absorbing as much information as I possibly could from everywhere in sight. Piecing it all together to come up with an edge and a profitable system seems like an impossible task. After nearly 12 months of trying and failing it dawned on me that I was still really struggling to understand the markets. These were the depressing times, the lowest points in my trading, and it’s at these points where a lot of people quit. The fear of failure plus all the money I had lost through broken banks was demoralising. The biggest problem for me was going in play, over-staking and impulse trading. When you combine these problems with a lack of being able to read the market – it was a recipe for disaster. So I went on a mission to eradicate my problems one-by-one. Although easier said than done, I wrote all my trading problems down. I even recorded my voice-notes telling me areas to avoid. I had to play it back to myself on every trade, it wasn’t easy. I remember it took several weeks to stop going in-play. But slowly stopping the bad habits eventually got me to break even. There I remained for a while. My biggest aha moment (there were are a few along the way) was probably figuring out how to read the market through the direction of the ladders. I knew what I needed to do, but looking at the big picture proved to be harder than I’d initially thought. I was constantly zoned in on one runner and it was holding me back. I resolved this by drawing some arrows on some small tubes, sat on my desk. They would represent the direction the ladders momentum. This simple method trained me to look at the whole picture. After a few weeks, I didn’t need them anymore. By this time I had been learning to trade for a year. It’s where things then really started to come together for me. The next few months I went from break-even and started to tip the balance into becoming profitable. 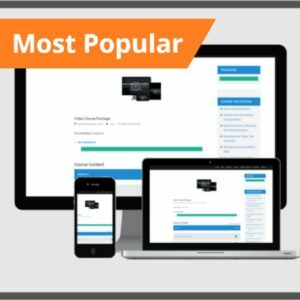 I started to get a little consistent money coming in, and decided to buy Caan’s Video Pack Course with the profits. For me it was a funny one. I didn’t want to put more money into my trading until I could prove to myself that I could trade! Had I invested in it at the beginning, it would have benefited me a lot more right from the word go. Lesson learnt. Personal development and persistence for me is everything. I consider it to be a large part of the success. Even though I’m a full-time trader now, I still have a lot to learn. Learning from Caan and all the people on the community forum is invaluable and keeps me in check! I’m constantly improving my game. At the moment my future plans are just to concentrate on trading the pre-race horse markets. To continue to focusing on my personal development, keep learning, and to continue to contributing on the forum. I feel it helps me as much as others who respond. I’m looking forward to summer this years summer racing. Last year was great and I’m hoping this year will be even better. It’s not for everyone but some of our users have great trading experiences and stories to share. If you have a trading story or insight you’d like to share, be sure to let us know! Good honest story Paul! I think lots of us can relate with lots of your story! Very interesting Paul, many thanks for sharing your journey and thanks for all your helpful points on the forum. Your story is another example , you don’t need to know everything about horse racing to make a success at trading. I would agree about buying Caan’s video pack, it is better to spend £150 on the course than blow one or several trading banks because you think you know what you are doing. Thanks for all your contributions to the forum , they are always worth reading. Great story, Paul. You are in inspiration. Thanks for all your nice comments Guys .